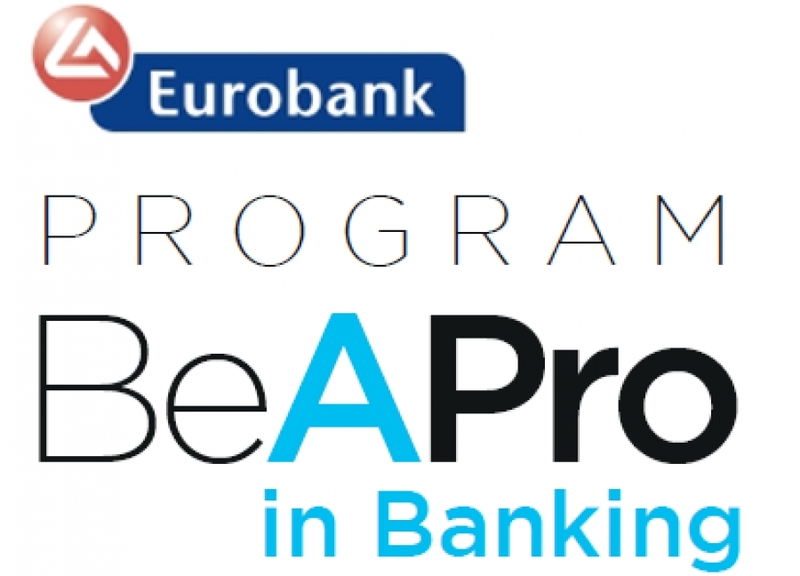 BeAPro in Banking - Graduate Talent Program από την Eurobank! You are here: Πρακτική Άσκηση + Θέσεις Πρακτικής Άσκησης άλλων φορέων BeAPro in Banking - Graduate Talent Program από την Eurobank! BeAPro in Banking is a competitive Talent Program, tailor-made for highly qualied and motivated graduates with a passion for personal growth. The program will offer you the chance to experience the world of Banking and prepare you for a successful career path in Corporate & Investment Banking and Global Markets & Wealth Management. Προσοχή η διαδικασία προϋποθέτει ότι διαθέτετε λογαριασμό στο LinkedIn. Διαβάστε και τα συνημμένα αρχεία, πιο κάτω.